Landmark Vineyards was founded in 1974 in Windsor, California. 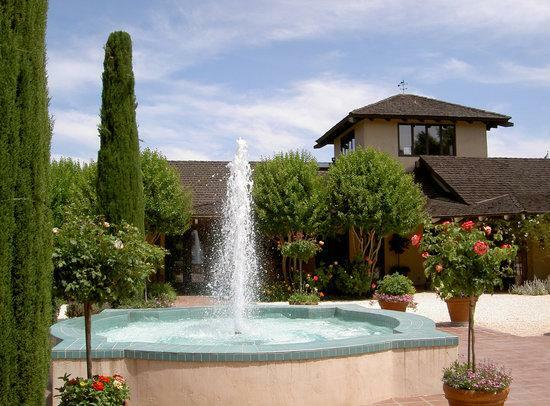 In 1989, Damaris Deere Ford, became sole proprietor and relocated the winery to Sonoma Valley. Ford is a descendant of John Deere, founder of the world's largest tractor manufacturer. Landmark Vineyards is located at the base of Sugarloaf Mountain in Sonoma Valley. In 1993, world-renowned consulting enologist Helen Turley was hired to work with former winemaker, Eric Stern. Landmark Vineyard's mission is "to make great wines that enhance the joy of life." Quality and flavor begin in the vineyards. In addition to the estate vineyard, Landmark sources grapes from a range of different vineyards and those selected are the finest in the highly diverse microclimates of Sonoma County's winegrowing regions. The Pinot Report 92"Medium ruby color; bright, rich red cherry aromas with some spice notes; rich, bright red cherry flavors with spice and sweet oak notes; very silky texture; good structure and balance; long finish. Bright, delicious Pinot with great balance for the table. SMART BUY!" Wine Spectator 93"Rich, complex aromatics of fig, honeydew melon, spice and citrus are concentrated, deep and layered, well-focused and balanced, ending with a long, full finish. Drink now through 2012. 2,000 cases made." ~J.L.